Jupiter is probably the best place in the solar system to study how the magnetic fields of planets are generated. The Juno spacecraft will arrive at the Jovian system in July 2016, then circle the planet and collect data for more than one Earth year. 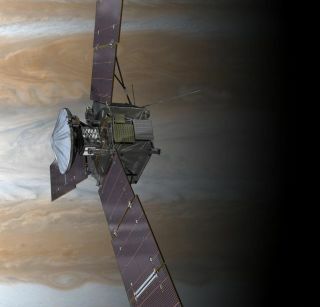 A NASA probe will zip by Earth Wednesday (Oct. 9) in a slingshot-like manuever around our planet to build up speed for the long trip to Jupiter.